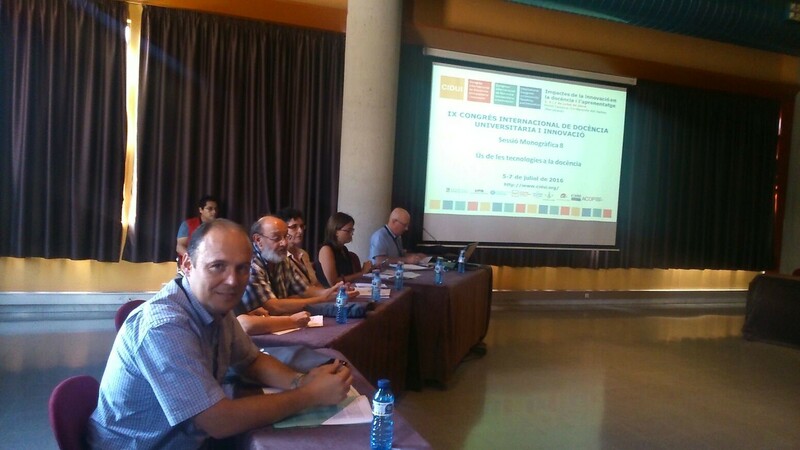 From 5 to 7 of July took place the IX International Congress of University Teaching and Innovation (CIDUI 2016), held in Barcelona and organised, among other institutions, by the Open University of Catalonia. Since its beginnings in 2000, CIDUI has consolidated as a biannual initiative that brings together a big name teachers and other education professionals with the desire to make the university an institution that meets the challenges of today’s society. In this sense, the title of this year has been Impacts of innovation in teaching and learning. 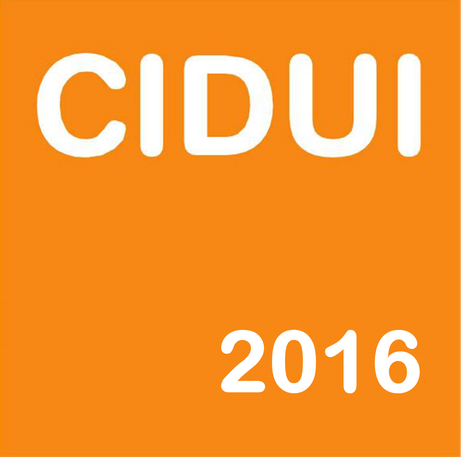 Edul@b has also participated in the CIDUI 2016 Congress, which has brought together various events and activities such as symposiums, conferences and debates with the purpose of stimulating spaces for exchange, reflection and analysis of different experiences of teaching innovation and learning in higher education. Specifically, the Edul@b researchers Teresa Romeu and Montse Guitert, along with Edul@b Phd student Juan Pedro Cerro Martínez, participated in the monograph, focused on the use of technology in teaching, with the title of “use of learning analytics in collaborative online environments. Monitoring and evaluation of communicative interactions”. In addition, Albert Sangrà presented the conference of Mike Sharples “Pedagogical Innovation: the transformation of teaching, learning and assessment in higher education” and Marc Romero has moderated the communications table Innovative methodologies of teaching and learning. You can consult the full program here.